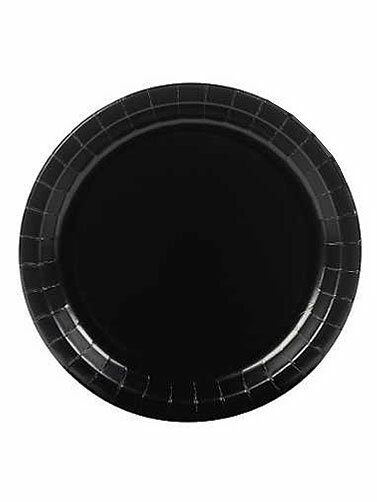 These Black Dessert Plates are just the right size paper plate for serving appetizers and desserts. Solid color will coordinate with any Halloween party theme. Round paper plate. Black Dessert Plates measure 7." 25 ct.